Wouldn't it be so great if you could be a local everywhere you traveled? 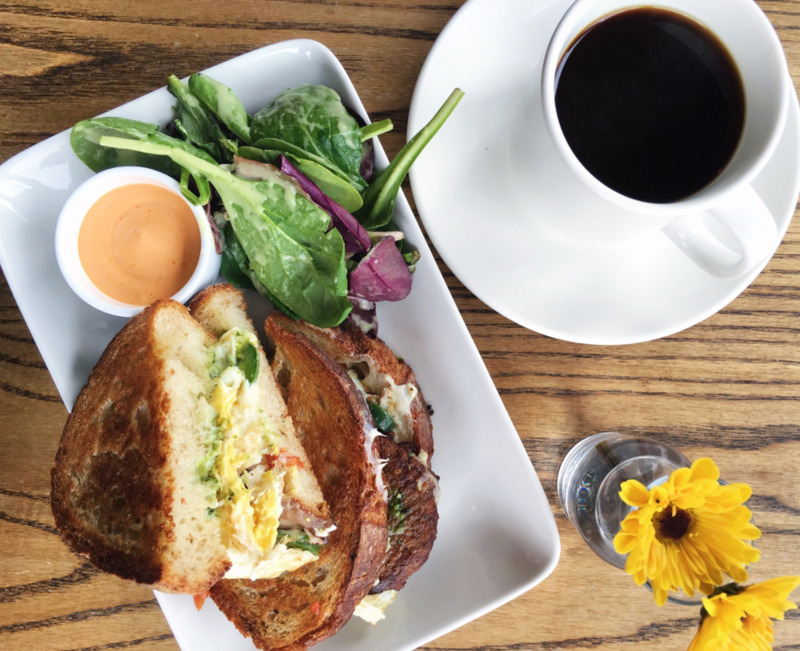 You would know the best burger in town, which bartender serves the stiffest drinks, the best thrift shop to score vintage designer duds, or even the prettiest spot in the park... It would be amazing (and not to mention save a ton of time on trip planning)! Well, even though that's not possible...what if you had a local friend in every city? Someone who shares or understands your interests. Someone you could trust to give you the best advice on where to go and what to see. Someone you could text and get second-by-second updates on what to do next. After all, everyone knows that locals know best! Here are 6 reasons why locals are the best travel guides. Sure, Yelp and TripAdvisor are great sources to use for traveling; but consulting a local about what the 'real' great things to do are is priceless. How else are you supposed to find that obscure, seedy dive bar in the middle of a *probably* questionable neighborhood if you don't ask a local?! Using a local as your tour guide is the best option because you get a personalized connection and the opportunity to chat in real-time about suggestions. The world we live in is so driven by technology that it's nice to get back to connecting one-on-one with another person to discover information. It's easy to get overwhelmed with so many automated messages constantly coming at us--especially for travel recommendations. Have you ever been in the mood for something while traveling and can't seem to find exactly what you're looking for? Like, maybe you're trying to find cheap-but-awesome Korean BBQ shrimp tacos at a chill restaurant that serves craft beer...or maybe a cocktail lounge that makes you feel like you've escaped into Alice and Wonderland. If you typed those things into a search engine, you probably wouldn't find what you're looking for. Locals know these kinds of things. They know exactly the kinds of places that match your interests and will deliver to the best of their knowledge. "I want to walk into a speakeasy that feels like I stepped back in time into The Great Gatsby." "Done." "I want a restaurant/bar that feels like I just got done surfing with my friends in Hawaii." "Got it." "I want a coffee so strong that will keep me up until tomorrow." "Strange, but ok!" Locals will always share the best of what you're looking for. Another great thing about connecting with a local one-on-one is that you can be honest with them about your time frame or budget. Whether you only have 2 hours to explore and an unlimited budget or the entire day and you want to only do free things, locals will always give you the top suggestions based on your parameters. Since they know the lay of the land, they can give you personalized suggestions on what to do or what to skip based on your time and money situation. They can also tell you when to visit certain spots based on their knowledge of the city. Maybe you want to beat rush hour or wait until everyone is busy with lunch. Locals always know these secret little details. When you're visiting somewhere new and getting advice from a local, they typically want to make sure that you walk away from that trip raving about how amazing XYZ location is. It's that hometown pride! They would never want you going around the world bashing the city the live in. You're going to be 'in the know' with a local's tips. Locals will always give you the best of the best recommendations. You'll get the real inside scoop on where the best burger is, where the best bars are, where the trendiest speakeasy is, etc. It's much more exciting to feel like an insider and get exclusive advice from someone who actually lives there versus finding something with high or decent Yelp reviews. Not only are locals great at recommending places to go, see, and eat, but they could also give you a personalized itinerary based on your needs and desires. Whether you prefer specific instructions, loose suggestions, or comprehensive lists to select from, locals will know what to provide you with to really customize your visit. Maybe you want to spend the entire day exploring their neighborhood and want an exact minute-by-minute itinerary; or maybe you want casual suggestions to pick and choose from throughout the weekend. Either way, locals have that inside knowledge to make sure you're getting everything you want out of the experience. Probably the best part of consulting a local about what to do in their city is the amount of time it saves you from all the planning. Forget spending hours on TripAdvisor, Pinterest, or travel forums. Save all of that time for something better and just have a local do all the planning for you! After all, they've already experienced it first-hand and know what's best. That aspect alone is priceless. Thankfully, this experience actually is possible! You CAN have a local friend in every city. With the innovative travel app Lokely, you can easily connect with like-minded locals around the world to get real-time advice on what to do wherever you're traveling. Imagine it: You'll instantly know the best bakery, the corner with the coolest street art, the clubs with the best music, or that speakeasy that is hidden behind the dumpster. I used Lokely for the first time earlier this week when I explored the trendy Brooklyn neighborhood of Williamsburg for a day. I had an awesome experience and could not have been happier with all of the unique local spots I was able to see because of my personalized itinerary from a local! I was even able to text them through the app and pick who I wanted to partner with based on our common interests. You can download Lokely for free on the app store or click here. Set up your profile and start connecting with locals who share your interests today. Remember: Locals know best! This post was sponsored by Lokely App. All opinions are my own.